The appearance of inertial rest mass-energy is associated with the kinematic slowing-down of time and with the vortex state of the elementary massive space with zero integral of its kinetic and potential energies. An analog of the Einstein equation is found for moving densities of a non-empty metric space in the concept of the Einstein–Infeld material field. The vector consequences of this tensor equation for a metric medium of overlapping elementary carriers of continuous mass-energies allow us to modify the Navier–Stokes equation under inertial motion of the matter of the nonlocal field in the nonrelativistic limit. The nonlocality of massenergy generates kinematic accelerations of feedback to Newtonian acceleration, which impedes asymptotic divergence of energy fluxes. 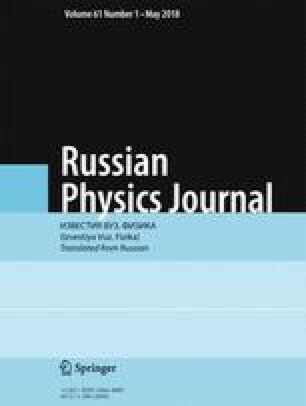 Stabilization of inertial media by dynamic Bernoulli pressure corresponds to nonlocal self-organization of Einstein–Infeld non-empty space and invalidates Newtonian localization of masses in empty space. Translated from Izvestiya Vysshikh Uchebnykh Zavedenii, Fizika, No. 1, pp. 64–71, January, 2018.